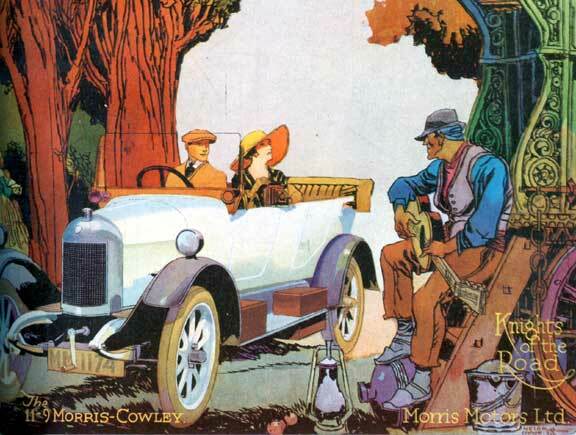 This painting from 1920 appeared on the cover of the British magazine Autocar. Helck was in London at the time studying with the muralist Frank Brangwyn and supporting himself with magazine work on the side. Brangwyn had a country home in Sussex and would allow Gypsies to encamp there. Helck, with his keen eye for the picturesque loved to sketch them, and these romantic people and their quaint caravans often found their way into Helck's paintings from the 1920's.